You can enjoy a relaxing ride through the surrounding counties of London. The ride will take 80 minutes on average. 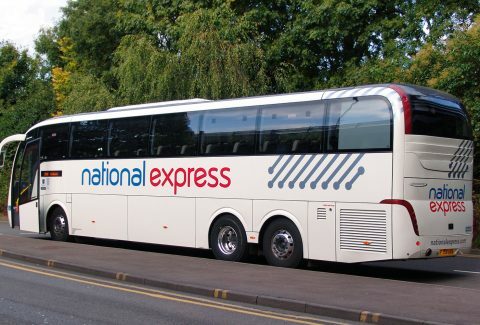 As soon as you exit the airport building, the National Express bus station can be seen. It is convenient to board with your luggage, being located right across the entrance to the airport building. A private taxi is most comfortable, while the train is most affordable. The bus transfer serves as the perfect balance of affordability and comfort and will allow you to experience the surroundings of London. Additionally, there is no guarantee that you can find a taxi to the required destination since it isn’t pre-booked. With the bus transfer, however, you can be assured that there is a mode of transport. You will go past numerous counties such as St. Albany’s and East Barnet. The picturesque towns are a sight to behold. Since the bus seating tends to be at a higher level than that of a car, you can enjoy the stunning scenery as you drive past it. When you pass by the Brent Reservoir, you would have entered the city of London. You will pass by the renowned Lord’s Cricket Ground, often dubbed the ‘Home of Cricket.’ Madame Tussauds Museum, along with the Sherlock Holmes Museum is close by. You will finally pass by Hyde Park and the Buckingham Palace. Victoria Station is situated right across the road from the home of the British Royal Family. With a different variant, you can also take a return journey from Victoria Station to Luton Airport.